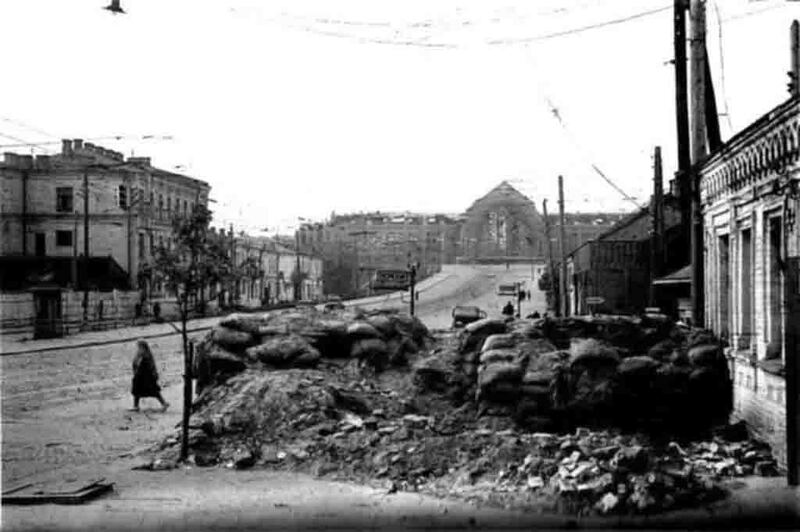 Remnants of the barricade of bags with land, built during the days of defense of Kiev, on the corner of the streets of the Comintern and Zhilyanskaya. At the corner – pre-war signposts “perehid.” In the depths – the facade of the Kiev railway station. From the railway station are two German cars “Opel”. The photo was taken 10 days after the fall of Kiev by the German military photographer Johannes Hale, who served in the 637th company of propaganda from the 6th German army that seized Kiev.